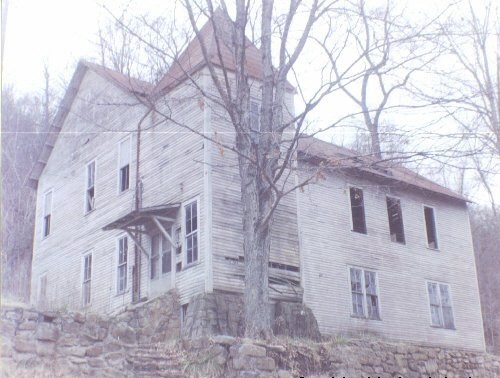 In the above 1904 picture can be seen the coal mining town of Orme, Tennessee. This Marion County community is situated at the head of Doran's Cove about ten miles from South Pittsburg, Tennessee. This picture and those below are courtesy, Walter Raleigh Clack. 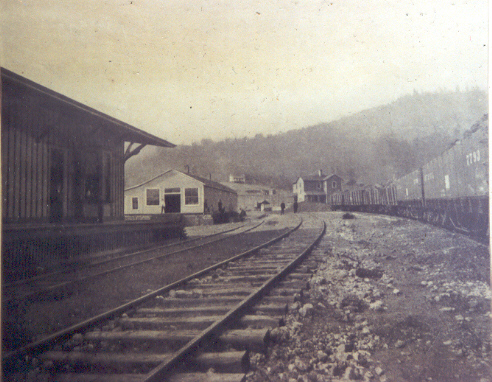 Pictured above in 1904 is the old Nashville, Chattanooga & St. Louis Railway depot at Orme, Tennessee on the left and the old Battle Creek, Coal & Coke Company commissary just in front of that. 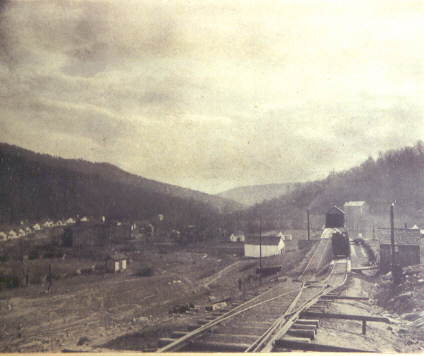 Pictured above in 1904 is a view looking down into the cove at Orme, Tennessee from the old incline. The town can be seen in the distance on the left and the tipple on the right at the end of the tracks. Pictured above in 1904 is a view inside the mine on side of the mountain above Orme, Tennessee. The miners are hard at work for their employer, Battle Creek, Coal & Coke Company. 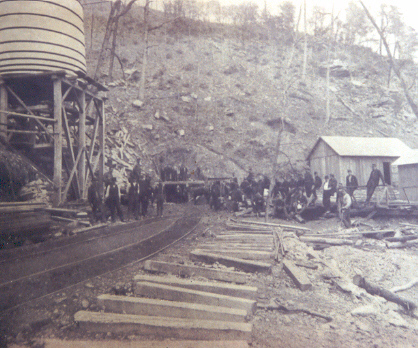 Pictured above in 1904 is a view of the entrance to the mine above Orme, Tennessee. 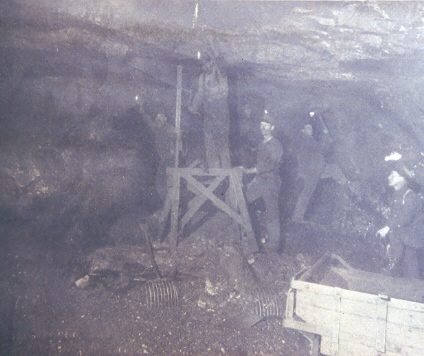 The miners and other laborers can be seen around the entrance as they posed for this picture. 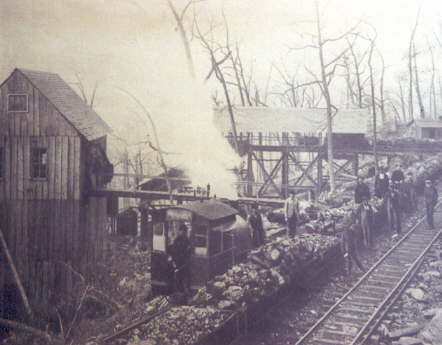 The little "Dinky" engine sits on the side track on the side of the mountain in this 1904 picture. The incline leading to the valley below and Orme can be seen on the right. 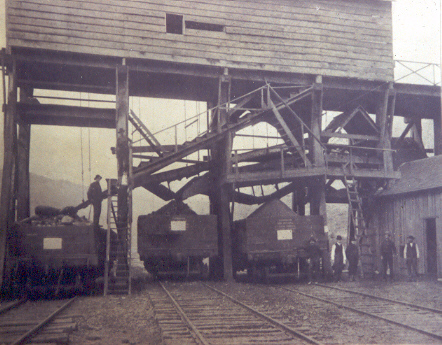 The tipple at the base of the mountain and the incline was where the coal was dumped from the incline cars into railroad cars for transport out of Orme and to market. It is pictured here in 1904. 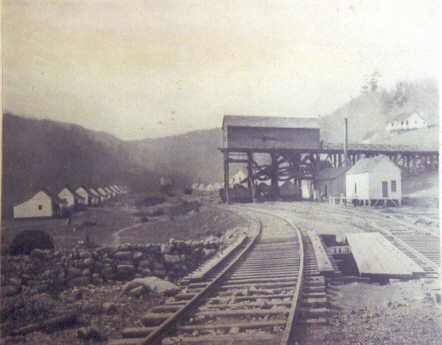 This is another 1904 view of the tipple at Orme, Tennessee. Miners and other workmen in Orme lived in many of the row houses that can be seen on the left and on the right in the far distance.